The Best Vancouver blogs from thousands of top Vancouver blogs in our index using search and social metrics. Data will be refreshed once a week. Also check out Top Vancouver Youtube Channels list for Top videos on Vancouver. Vancouver newsletter is a comprehensive summary of the day's most important blog posts and news articles from the best Vancouver websites on the web, and delivered to your email inbox each morning. To subscribe, simply provide us with your email address. Vancouver About Blog Your source for everything awesome in Vancouver! Food, events, history, the outdoors, shopping and more. Facebook fans 161,761. Twitter followers 133,718. Vancouver British Columbia About Blog Inside Vancouver is a multi-author Vancouver blog, written by Vancouverites about Vancouver. A blog about things to do in Vancouver, Vancouver events, Vancouver travel. Facebook fans 216,032. Twitter followers 127,272. Vancouver, BC, Canada About Blog Official site of the City of Vancouver in beautiful British Columbia, Canada. Access City services, sign up for recreation programs, and learn about City projects. Facebook fans 68,208. Twitter followers 184,402. Vancouver About Blog Latest in news, food, events, and things to do in Vancouver. Facebook fans 401,993. Twitter followers 241,468. Vancouver, British Columbia About Blog The best of Vancouver food and culture, curated by Andrew Morrison and Michelle Sproule. Our main objective is to ‘scout out’ and promote the things that make Vancouver such a sweet place to be. Facebook fans 20,225. Twitter followers 37,866. Vancouver, British Columbia About Blog Award-winning Vancouver blog ft. Vancouver events, photography, contests, and history since 2004. Facebook fans 12,149. Twitter followers 86,921. About Blog The city, its people and cultural happenings. Facebook fans 1,162,724. Twitter followers 520,407. Vancouver About Blog From in-depth reporting and analysis of the issues that matter most, to expert fashion and travel guides, reviews of the buzziest new restaurants and the best in wine and spirits, VanMag uncovers what matters now. Facebook fans 12,909. Twitter followers 76,232. Vancouver, British Columbia About Blog Vancouver's travel deal community. Find cheap flights, holiday packages, and all inclusive vacations from YVR. Featuring articles, guides, alerts, forums, discount promo codes, sales and more. Facebook fans 64,155. Twitter followers 18,953. Facebook fans 5,236. Twitter followers 4,087. Vancouver, BC, Canada About Blog Vancouver Realtor & Real Estate Specialist. Every type of property from New Condos, Penthouses, Townhomes and Houses Contact Mike Stewart. Facebook fans n/a. Twitter followers 8,017. San Francisco, CA About Blog *The* subreddit for fans of the Vancouver Canucks. Canada About Blog The leading guide for everything happening, where people are hanging out and the best spots to eat in Vancouver. Facebook fans 275,956. Twitter followers 5,907. Vancouver, BC About Blog Canucks Army is your home for Vancouver Canucks coverage, news, analysis, rumours and scores. We are a site by NHL fans, for NHL fans. Facebook fans 3,973. Twitter followers 14,402. Vancouver, British Columbia About Blog Welcome to Vancouver’s premier resource for best places to visit and things to do in Metro Vancouver. Vancouver’s Best Places is an online resource for tourists, locals and anybody who wants to know the best places to visit and what’s going on in the Lower Mainland. Our purpose is to educate people about the region’s best places, top attractions and things to do in this great city. Vancouver’s best places deserve having everyone know about them, and everyone wants to know. Facebook fans 12,983. Twitter followers 328. Vancouver About Blog The ultimate home for Vancouver Canucks news, rumors, updates, trades, signings, injuries, commentary, analysis, and more! Facebook fans 448. Twitter followers 1,067. Vancouver About Blog Z95.3 is Vancouver's best mix of music from today's biggest and brightest artists plus the songs you love from the 90's, 2000's and more! Facebook fans 113,783. Twitter followers 21,366. Vancouver, British Columbia About Blog The latest news on condos, real estate development, architecture, retail and urban planning in one of the world's most livable cities, Vancouver. Facebook fans 452. Twitter followers 1,874. About Blog Your best source for quality Vancouver Canucks news, rumors, analysis, stats and scores from the fan perspective. Facebook fans 1,941. Twitter followers 8,964. Vancouver About Blog Food reporter and plant-loving home cook with a passion for sharing to-die-for recipes and restaurant recommendations. Facebook fans 7,860. Twitter followers 23,266. Canada About Blog Urbanizer Vancouver proudly showcases the best content from the city: trendy articles and videos, tips and lists to connect with amazing places in your city thanks to top local bloggers. Facebook fans 180. Twitter followers 987. Vancouver, BC, Canada About Blog Presenting live theatre in an informal, accessible, and inexpensive environment, the Fringe strives to break down traditional boundaries between audiences and artists, encouraging open dialogue between theatre-goers and theatre-creators. Facebook fans 8,007. Twitter followers 10,900. Victoria, British Columbia About Blog Vancouver Island News, Events, Travel, Accommodation, Adventure, Vacations – Adventure Travel on scenic Vancouver Island, British Columbia, Canada. Discounts, Special Rates, Last-minute Deals, Getaways & Vancouver Island Vacation Packages. Facebook fans 897. Twitter followers 12,320. Vancouver, BC About Blog All the latest news, analysis and opinion on the Vancouver Whitecaps. Facebook fans 221. Twitter followers 2,115. Vancouver, BC About Blog Steve Saretsky is a Vancouver Residential Realtor and author behind one of Vancouver’s most popular Real Estate Blogs VancityCondoGuide.com Vancouver's most popular Real Estate blog featuring market stats, news, and videos. Facebook fans 1,369. Twitter followers 4,481. About Blog Vancity Noms is a food blog reviewing restaurants, bakeries, cafes and food courts in Vancouver, Richmond, Burnaby, Surrey, and more! Vancouver, Canada About Blog At Vancouver Coffee Snob we review Vancouver coffee shops, their coffee, and food. The best coffee in Vancouver is found here. Facebook fans 1,172. Twitter followers 2,118. Vancouver, BC About Blog With 1000s of family friendly Vancouver ideas to keep kids busy, VancouverMom.ca is a guide for moms on how to do Vancouver with kids. Facebook fans 10,710. Twitter followers 10,245. Vancouver, BC About Blog Home of the TD Vancouver International Jazz Festival, the best concerts and events in Vancouver, learn what is happening today. Facebook fans 7,910. Twitter followers 11,928. About Blog Visit Vancouver Island to find yourself in your element. Create a custom travel formula and plan your Vancouver Island travel. Facebook fans 27,087. Twitter followers 43,850. Vancouver, British Columbia About Blog Vancouver Deals Blog is updated on a daily basis and features the best and hottest deals of the day, sales, coupons, freebies, specials, promotions and discounts in Vancouver. Facebook fans 798. Twitter followers 2,443. Vancouver, British Columbia About Blog The best online Vancouver travel guide. Find awesome Vancouver activities, Vancouver events, things to do in Vancouver and much more. Facebook fans 3. Twitter followers 10. Vancouver About Blog Vancouver Lifestyle Blog: Events & Lifestyle, Fashion & Retail, Beauty & Skincare, Food & Drink and Health & Wellness. Facebook fans 1,275. Twitter followers 7,221. Facebook fans 36. Twitter followers 200. Vancouver Island, BC About Blog Insiders guide to fishing, whale watching, hiking, bear watching, kayaking, bird watching, farms, farmers markets, vineyards, marinas on Vancouver Island BC Insiders guide to fishing, whale watching, hiking, bear watching, kayaking, bird watching, farms, farmers markets, vineyards, marinas on Vancouver Island BC. Facebook fans 3,373. Twitter followers 74. Vancouver About Blog Vancouver Real Estate Anecdote Archive. Stories from the Vancouver RE Boom & Bust. Facebook fans 1,482. Twitter followers 1,677. Metro Vancouver, BC About Blog Vancouver food blog: restaurant reviews, beer & wine, culinary events, home cooking and travel. Facebook fans 737. Twitter followers 9,642. Vancouver, BC About Blog #1 Real Estate News. Your premier source for buying, selling and investing in today's Vancouver BC Real Estate Market with Adam and Matt Scalena. Facebook fans 534. Twitter followers 1,308. Vancouver, BC About Blog Where Vancouver goes for all things Music, Dance & Theatre. Vancouver's Performing Arts Annual. Readers now have a single resource to find their art. Facebook fans 1,446. Twitter followers 3,328. West Vancouver About Blog West Vancouver Real Estate | West Vancouver residential real estate properties; your leading West Vancouver realtor! Facebook fans n/a. Twitter followers 2,046. Vancouver, BC, Canada About Blog Turning Savvy, Informed Vancouver Urbanites into Successful Homeowners, Investors and Sellers. Buying and selling is easier with Team Kerr by your side. Facebook fans 1,637. Twitter followers 1,493. Vancouver BC About Blog Vancouver Real Estate Agent Gary Serra is Ranked Among the Top 2% of Vancouver Realtors. Work with the Best for Best Results: Make the Right Move. Facebook fans 1,021. Twitter followers 619. Vancouver About Blog Top producing real estate agent marketing Luxury Houses and Condos in Vancouver BC, specializing in Downtown, West Side, East Side, North Vancouver and Burnaby. Exceptional service for a smooth and successful process and sell your property for top dollar. Facebook fans 564. Twitter followers 819. Vancouver Canada About Blog Choosing your Hotel and Making your Visit to Vancouver Memorable. Hotels in Vancouver with tips and reviews, local knowledge to events, attractions, neighborhoods, shop, dine, golf, come see and play at Vancouver's best. Facebook fans n/a. Twitter followers 924. About Blog Art with a spiritual flavour | the more-or-less official blog of pacific theatre. 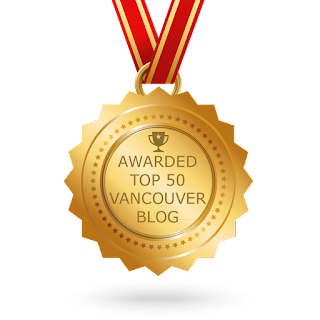 CONGRATULATIONS to every blogger that has made this Top Vancouver Blogs list! This is the most comprehensive list of best Vancouver blogs on the internet and I’m honoured to have you as part of this! I personally give you a high-five and want to thank you for your contribution to this world.